The École nationale supérieure des Beaux-Arts de Paris is a cultural institution under the French Ministry of Culture that was created after the French Revolution as a school for art and architecture. Today, its campus fills 11 historic buildings on the Left Bank from the Quai Malaquais to the Rue Bonaparte. Among the treasures of the Beaux-Arts is a drawings collection of 600,000 works, second only to the Louvre. Today the Jean Bonna Cabinet of Drawings at the Beaux-Arts has an active exhibition and acquisition programme directed by Emmanuel Brugerolle. The Beaux-Arts is under the wing of the French Ministry of Culture. The Beaux-Arts de Paris – a partner institution of Draw Art Fair London – will exhibit works by Lenny Rébéré, the winner of the 2018 Prize for Contemporary Drawing as part of its presentation at the fair. Born in Lyon in 1994, Lenny Rébéré joined the Beaux-Arts de Paris in 2013, in the studio of Dominique Gauthier. In 2017, he was awarded the AMMA Sorbonne Prize for Contemporary Art. 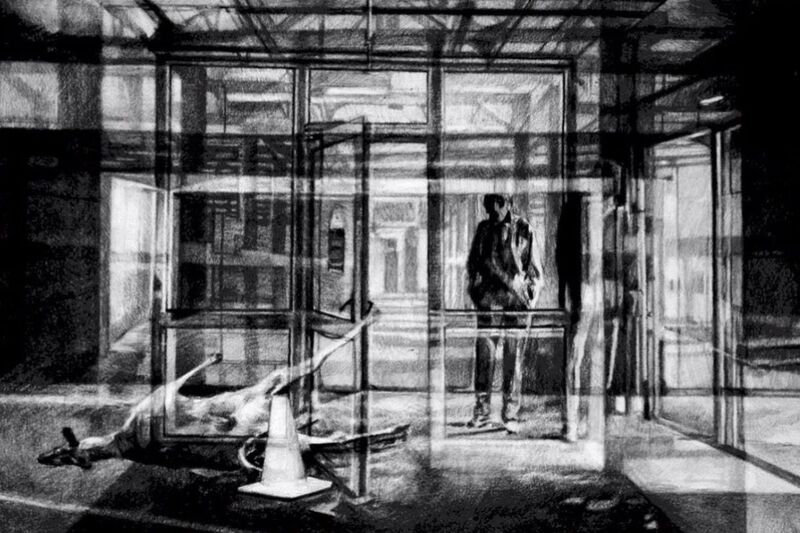 Rébéré’s ghostly charcoal silhouettes are located in complex architectural perspectives. His monochrome palimpsests are informed by images from the internet, film stills and his own photographs, which combine to disturb perception, oscillating between memories, dreams and reality, and often dystopian in tone. Work by Lenny Rébéré will also be exhibited at the fair by Galerie Isabelle Gounod.